If you have never kept any seawater species before and are looking for the best marine aquarium salt mix for the perfect environment, then you must be quite confused. Seawater is not just salty and adding some table salt will not do. The good thing is that we’ve done our homework and compared many types of commercial sea salts out there so that you don’t have to waste time finding the perfect mix. 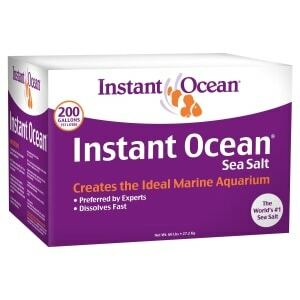 Dr. Fox recommends that you use the Instant Ocean Sea Salt 35001402 for your marine aquarium. 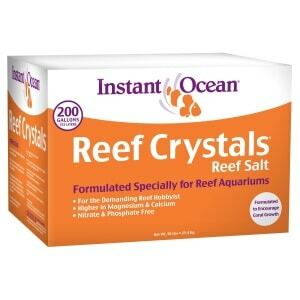 If it happens to be sold out, then you should definitely try the Instant Ocean Reef Crystals RC1-200 mix. If you’re on the lookout for a product that will help you recreate water that is identical to that from the ocean and thus provide the coral species in your aquarium with a healthy environment, this product should not go unchecked. It was formulated with the needed chemicals and the right amounts of them to deliver such benefits. It can be used to make 200 gallons of saltwater. At least one customer who tried the salt says it did not dissolve easily. Give this product a try if you want to create the right environment for your aquarium life to thrive. This product should also make it to your priority list if you’re looking for a synthetic sea salt that will provide the corals and coralline algae in your aquarium with a healthy environment. The formula contains extra calcium, vitamins, and other elements that will help corals grow faster and stronger. What’s more, the product will also eliminate harmful elements such as heavy metals. One buyer says the water turned yellowish when using this salt. Consider this sea salt mix if you want to help the corals and algae in your aquarium grow and develop healthily. Containing all the salts that are usually found in ocean water, this product is also worth considering if you want to keep the corals in your aquarium healthy. The formula comes with a balanced mix of calcium, magnesium, and other carbonate salts that will help both small and large polyp stony corals develop strong skeletons. You can create 5 gallons of seawater with 1.4 pounds of this salt. Some customers might find the salt a bit pricey for the amount received. 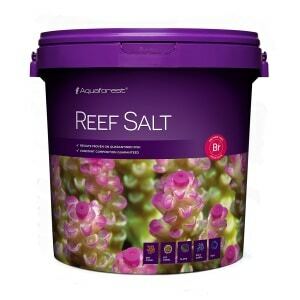 Create a healthy environment for both small and large polyp stony corals by adding this salt to your aquarium. The Instant Ocean Sea Salt mix is one of the more popular choices among both hobbyists and public aquariums. Unless you live by the ocean and can collect water straight from it (which wouldn’t actually be a good idea because of the potential contamination), you need to find a way to create an environment similar to the natural habitat of your marine species. While oceans are indeed salty, they don’t just contain common salt or sodium chloride (NaCl), but also a mix of many other types of salts such as magnesium chloride and sodium sulfate, as well as trace elements. The best part about the Instant Ocean Sea Salt is the fact that it can recreate water that’s practically identical to that from the ocean, thanks to the carefully designed formula which contains precise amounts from each chemical element required. This product is enough to make 200 gallons of saltwater at the recommended SGR or specific gravity range between 1.020 and 1.024. The Instant Ocean Reef Crystals is a synthetic sea salt mix that’s ideal for growing small polyp stony corals but also suited to soft corals and coralline algae. In addition to all the salts and trace elements that are normally present in ocean water and that can be found in the normal Instant Ocean product, this salt mix also contains extra calcium which will help corals build their calcium carbonate exoskeletons faster and stronger. The special formula of the Reef Crystals includes vitamins and added elements which promote a healthy development of corals throughout the year. Not only that, but the mix also provides your marine aquarium with special additives that will help remove harmful elements such as heavy metals. The Instant Ocean Reef Crystals can be used to create 200 gallons of water which are identical to real ocean water. Use 1.5 pounds of this salt and combine it with 5 gallons of water in order to obtain a specific gravity of 1.022. 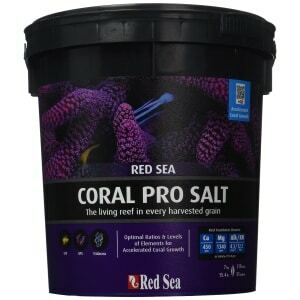 If you’re looking for a salt mix that’s good for corals and can be found on the market at an accessible price, then the Red Sea Coral Pro Salt is a good choice. The specially formulated mix contains all the salts normally present in ocean water, from the common sodium chloride and magnesium chloride to trace metals and other elements in extremely small quantities which are measured in parts per million or ppm. Because it is created especially for corals, this synthetic sea salt also contains a carefully calibrated mix of calcium, magnesium, and other carbonate salts. This results in a mix that’s ideal for both small polyp stony corals and large polyp stony corals which use these for exoskeleton synthesis. You only need 1.4 pounds of Red Sea Coral Pro Salt to create 5 gallons of seawater that is free of phosphates and nitrates and perfect for a fast and healthy development of all your coral species. The Aquaforest Reef Salt is the perfect addition to an aquarium if you plan on growing species of large stony polyps and small stony polyps which are more demanding. They say that not all salts are created equal, and that’s true especially when you plan to add a coral that needs more calcium or trace elements for a vigorous development. This premium formula contains all the salts and metals that finicky corals need, but is free of harmful nitrates, phosphates, and bromides that could impede the proper growth of the coral colonies. This salt mix does not contain probiotic bacteria and is not intended for corals which require micro- and macronutrients. With one Aquaforest Reef Salt unit you can create 30 gallons of water that closely resembles ocean water near reefs, with a stable pH that can be reached soon after mixing. However, it is recommended that you do not put corals in the tank sooner than 10 to 14 days after adding salt. 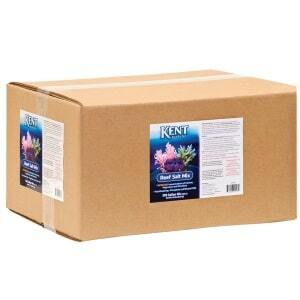 The Kent Marine Reef Salt Mix is a product highly appreciated by customers. It comes with a new formula that adds more calcium, iodine, strontium and other trace elements to promote faster growth for many species of stony corals and coralline algae. This special salt also contains vitamins and minerals which are essential for the metabolism of corals as well as for skeleton production and increased reef vitality. 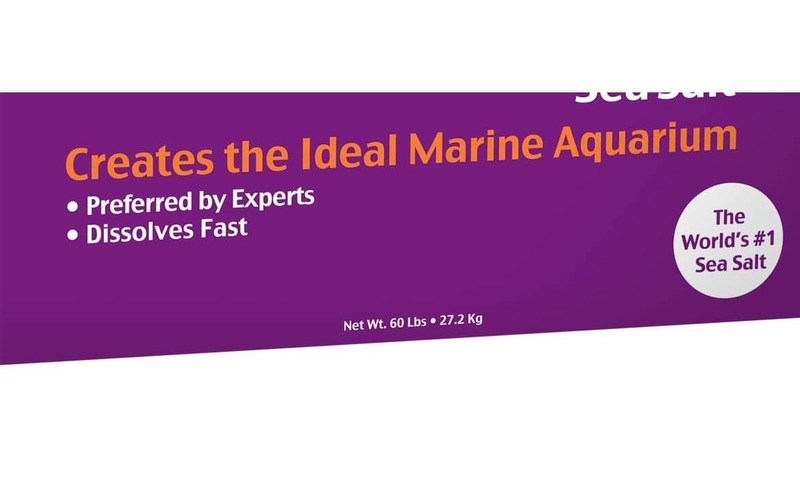 By making use of the Cora-Vite technology, the Kent Marine Reef Salt Mix isn’t just ideal for coral and fish aquariums, but it also comes with superior dissolvability, allowing you to prepare water that’s nearly identical to ocean reef water in no time. By dissolving half a cup of the special mix with one gallon of water you will obtain a solution with a specific gravity of 1.021 to 1.023 and a stable pH of 8.2 – 8.3 in which your corals and algae won’t just survive, but thrive and enrich your home. Creating your own aquarium and replicating the perfect conditions for corals can be extremely tricky if you don’t know which type of salt to use. If reading countless marine aquarium salt mix reviews is not an option for you due to lack of time, then you’re in luck, as we have created a short guide just for you. We will go through the basics of synthetic sea salt and teach about the difference between commercially available products so that you get to buy the perfect one for your needs. You might wonder why you can’t just get a pack of table salt from your kitchen cabinet and create your very own ocean salt rather than paying top dollar for a commercial product. The thing is that sea water doesn’t contain just table salt – or sodium chloride as it is also called. Seawater is actually a mix of many different types of salts such as magnesium chloride, sodium sulfate, potassium sulfate and bromide, strontium chloride as well as countless chemicals in minute quantities, also called trace elements. Not only is the formula for seawater extremely complex, but even if you had all other ingredients, you still couldn’t use table salt since it can contain unspecified anti-caking agents which could either harm your fish and corals or impede their growth. Even when it comes to commercial salt mixes for sale, not all products are equal. Some are optimized for certain fish species, others are better suited to corals and algae. Synthetic salts targeted at corals may contain more calcium and carbonate salts while fish-specific salts can differ in concentrations of trace elements. Even when it comes to salts manufactured for a specific category of animals you can still find differences. For example, some coral reef mixes only contain salts and trace elements while others can include vitamins, hormones and even probiotic bacteria. 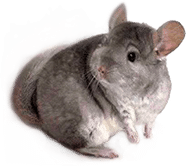 You also need to look at product recommendations to see which salt is best for your needs, as you are probably going to want the water to have a specific gravity or a certain pH value which can be slightly higher or lower depending on the target species. Last but not least, you need to remember that even though many commercial brands advertise their mixtures as being the perfect salt, the best product will actually be the one that’s most appropriate for the marine species you intend to keep in the aquarium. So read specifications before you buy, and don’t forget to check our list of top products and recommendations.